Gave this to my Mamma for mother's day and she adores it. She shows it off to everyone who comes to her home...beautiful work! I’ve been blessed with the kindest, most selfless, strong, smart, resilient, beautiful mother on the planet. I bought this print so I can see her lovely likeness on my wall and be reminded of how lucky I am to call her my mother. Thank you for perfectly capturing the tenderness between mother and daughter. The quality of the print is outstanding. The richness of the colours, the way the inks saturate the thick paper- it looks almost like it could be an original. 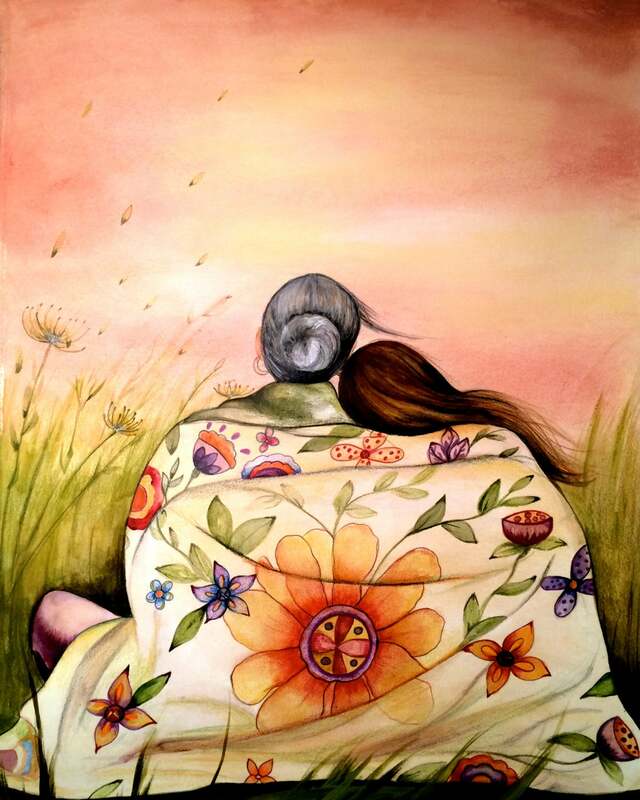 I can't say enough good hings about Claudia Tremblay. Her artwork is amazing, her shipping is fast and packaged great and she always goes the extra miles for her customers. This will definitely not be my last purchase from this seller. My mom cried when she received this for Mother's Day. Very much appreciated! This is even more beautiful up close when I received it than on your web site. Your work is wonderful. Thank you for sharing your talent.